Buy Lubrication System Parts Online | Pumps, Meters & More! We have a growing product offing designed to keep your machinery up and running. We stock Meter Fittings, Metric Tube Connections, Flex Hose, Filters, Pumps and Replacement Motors. If you have any special requirements, please contact us today, we are happy to engineer a solution for you. 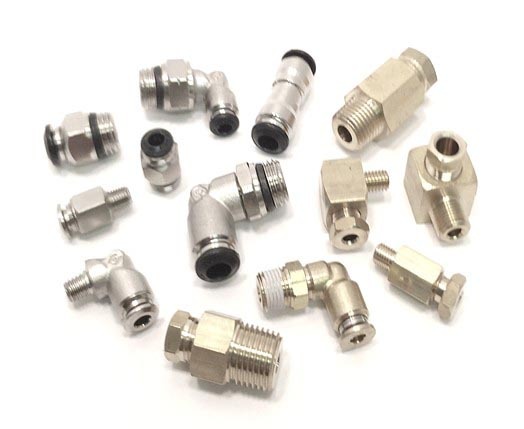 Your one-stop-shop for Metric Fittings, Hose and Tubing! 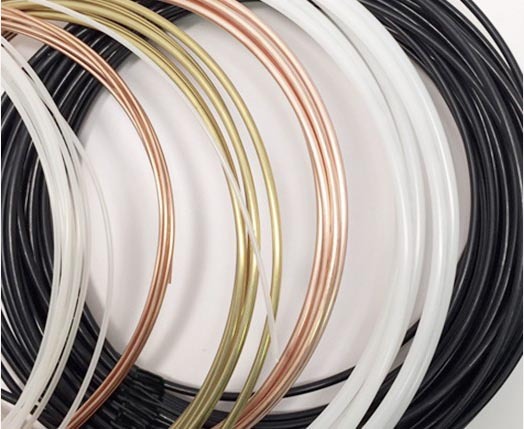 See our great selection of tubing, Nylon, Brass, Copper and Steel! 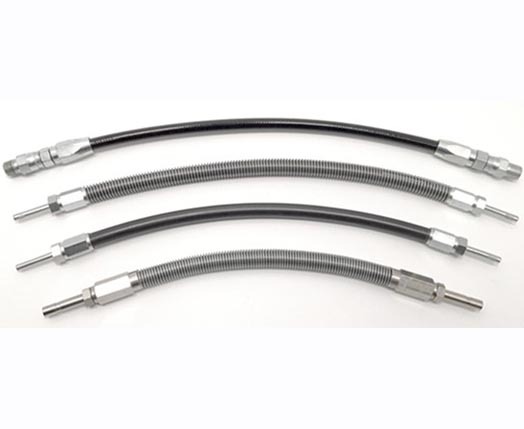 Shop our wide assortment of Bijur flex hoses. Traditional manual lubrication methods have a tendency to either under or over lubricate the bearing surfaces. This is a proven cause of most bearing failures. A properly designed system consistently wets the bearing surfaces with a fresh supply of lubricant in the precise amounts at specific times in the correct locations. In addition, frequently delivering smaller amounts of lubricant while the equipment is running keeps your machine in the “Optimum Lubrication Zone”. Our goal is to help you extend the life of your machinery and keep them operating at peak performance. Click here for more information. The expression of “a well-oiled machine” is widely understood and acknowledged. Operating out of Toledo, Ohio since 1980, Fluidline Systems has provided high-grade service and solutions for machine and central lubrication systems. Fluidline Systems proudly claims to be an authorized dealer for the most trusted names in the industry that command high performance in the engineering of fluid power and lubrication systems. 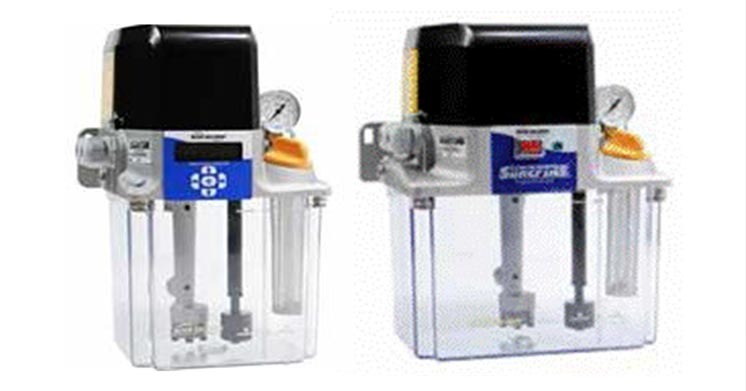 Protect your machinery by purchasing the most reliable automatic lubrication system components and parts. Fluidline stocks everything from meters and pumps to tubing and fittings for industrial machinery where consistent lubrication is called for. We’re proud to be your online store to buy lubrication system parts that assist in smoother operations in order to extend the life of your machinery. With over 30 years of experience in successful machine lubrication designs and installation, we understand the value of keeping your equipment at peak performance levels. Our #1 priority is providing the crucial parts and service for the necessary maintenance of industrial bearing surfaces. We aim to be the most outstanding resource for all lubrication system needs. Our ultimate goal: To provide each machine the right amount of lubricant, in the right place at the right time. Fluidline Systems offers excellent pricing on all products, not to mention the friendliest customer service around! Call our Parts Hotline at 419-535-1313 and speak with us today!